Length 178 mm / 7.01"
A cigar from the crops of La Vega Coyol. The Coyol is rugged and rustic and has become a classic. This cigar has followers around the world. 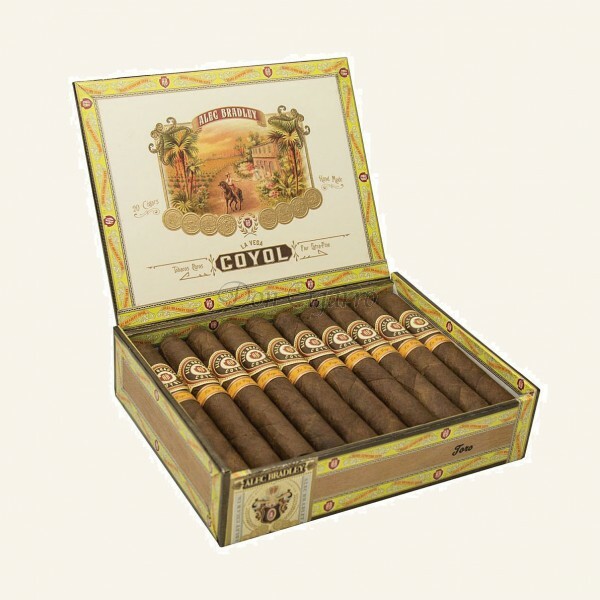 Some tobaccos offer great flavors, others a delicious taste - the Alec Bradley Coyol has both. The Coyol is exceptionally diversified in its aroma development and convinces with earthy and wooden notes, which are complemented by coffee, chocolate and caramel, a creamy and pleasant smoke.